Designed in 1917 by Capt. Georges LePere, a French aeronautical engineer working for the U.S. Army Air Service, the LUSAC 11 was the result of efforts to get an American-built fighter into combat as soon as possible. The acronym "LUSAC" stood for LePere United States Army Combat. LePere designed the LUSAC 11 to be a combination fighter, light bomber, and reconnaissance aircraft that carried a pilot and an observer/gunner. At war's end in November 1918, however, the Bureau cancelled its contracts, and only 28 production aircraft were built (with only seven of these built before the Armistice, none saw combat). The aircraft continued to fly in the Air Service, and a specially modified LUSAC 11 became famous by setting a number of altitude records at Wright Field in the early 1920s. 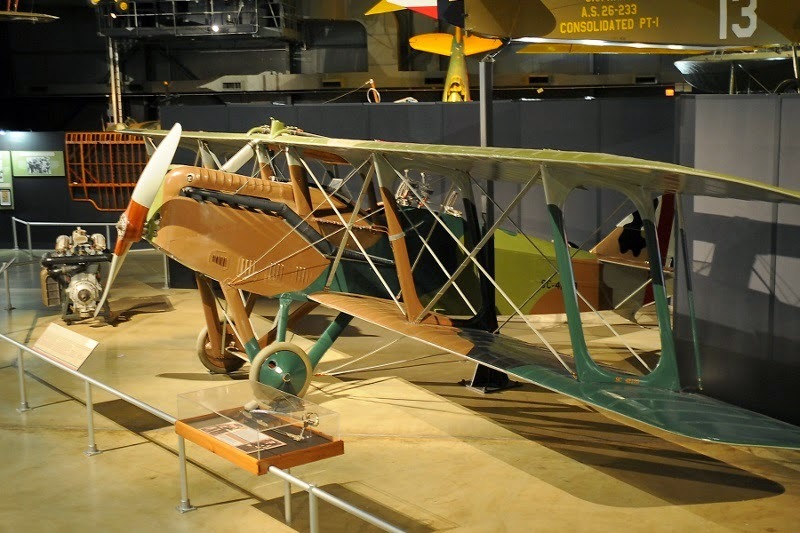 The aircraft on display, the only LUSAC 11 in existence, originally went to France just before the end of the war. In 1989 the museum acquired it from the Musée de l'Air in Paris, France. After extensive restoration by museum personnel, it went on display in 1992. It is marked as it appeared while at the Allied test facility in Orly, France, in late 1918. Excellent post about a WW1 aircraft that I was not familiar with.